SURVIVING CHRISTMAS ... 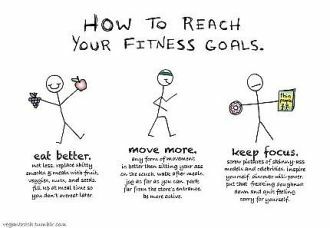 EATING, EXERCISE & ENJOYMENT! Very often we go from day to day without acknowledging the changes or achievements we have made over the past 12 months. The "busy-ness" of our lives causes us to be reactive, rather than proactive with our health and fitness and this can lead to procrastination. Many of you have been proactive and can look back on this year as one where you have set goals and made a concerted effort to tick them off. You may have started to exercise more frequently, participated in an event, or made other positive lifestyle changes. Research has confirmed that engaging in fitness activities helps us live longer with less health problems and keeps the brain focused and mentally alert. Nordic Walking is a cross-brain activity and exercising outdoors boosts energy and wellbeing. 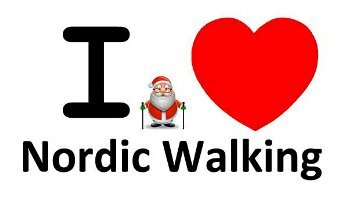 Use your Nordic Walking poles frequently and have fun whilst maintaining your good health! Thank you for your support this year and I look forward to seeing you in 2014. NORDIC KIWIS' RAISE > $9000! 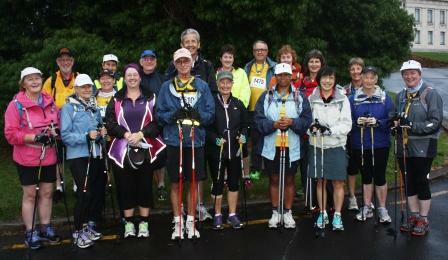 Congratulations must go to the dedicated and determined team of Nordic Walkers, who have been training for the past 7 weeks in preparation for the inaugural New Zealand Night-time Half Marathon. This event served as a fundraiser for the Cancer Society. A number of the team are cancer survivors and Nordic Walking has been a vital rehabilitation exercise for them. Others decided to participate in memory of family and friends who had died. Many people also made remembrance donations and these names were read out during a prayer at the beginning of the walk and then carried with the team during the night. "Join our training squad ... starting January 11, 2014"
Kick start the New Year by setting a goal to participate in an event and start a positive exercise habit for 2014. The Stirling Sports Quarter (11 kms) and Half (21 kms) Marathon is a Nordic Walking friendly event, which Nordic Walkers have participated in since 2005. The event takes place on February 23 and team training will start on January 11. Kick start here!